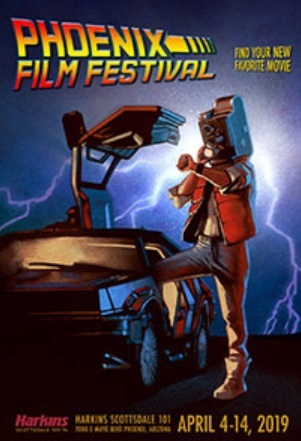 Arizona’s largest film festival is almost upon us. 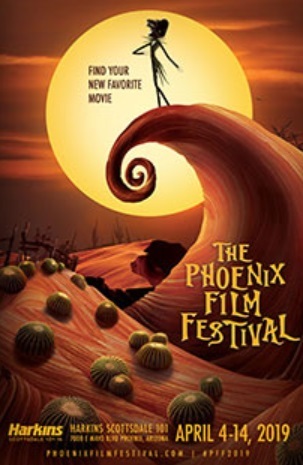 The 19th Annual Phoenix Film Festival will begin Thursday, April 4 and conclude Sunday, April 14, hosting almost 300 films to be screened at Harkins Scottsdale 101, 7000 E. Mayo Blvd. Phoenix. This year, the festival’s opening night film is EXTREMELY WICKED, SHOCKINGLY EVIL, AND VILE starring Zac Efron as serial killer Ted Bundy, a film that chronicles the crimes of Bundy but from the perspective of his longtime girlfriend, Elizabeth Kloepfer who refused to believe the truth about him for years. The closing night feature on April 14 is The Farewell starring Awkwafina (Crazy Rich Asians) and directed by Lulu Wang from a story based on Wang’s real life that originated from a story she told on NPR’s This American Life. In between, in addition to the wide array of features, documentaries, and short film subjects, plus the 15th Annual International Horror and Sci-Fi Festival that runs in conjunction with the PFF, this year the festival is also showing a series of retro films, giving audiences the chance to see a carefully selected series of films on the large screen where they were always meant to be seen. The following is a close look at those four Oscar winners, all of which rank as essential, must-see features. 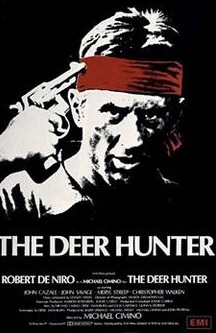 Oscars: The Deer Hunter was nominated for 9 Academy Awards. It won 5, including Best Picture. From the steel mills of Pittsburgh to the jungles of Vietnam, three friends from Pennsylvania enlist to serve in the military. After falling into the hands of the Vietcong, the three men face the horrors of captivity when they’re forced to play Russian roulette against other captured Americans and each other. On the night of the Oscars, the film was met with a backlash by demonstrators, most of whom were from the Los Angeles chapter of the Vietnam Veterans Against the War. 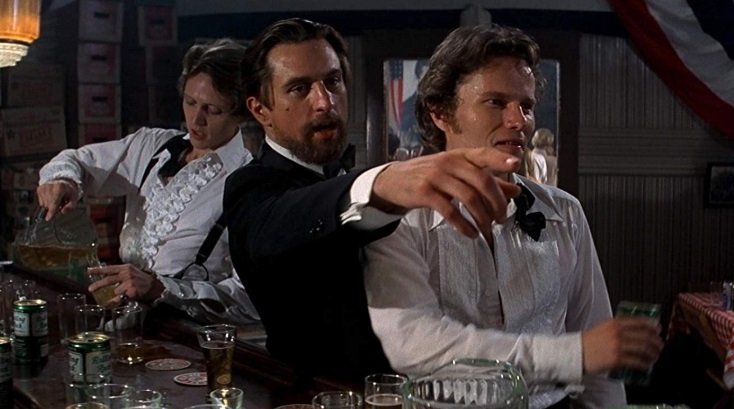 The limos were greeted by placards reading ‘No Oscar for Racism,’ and ‘The Deer Hunter Is A Bloody Lie.’ Screenwriter Deric Washburn claimed that his limo was pelted with stones. According to Variety, both the LA PD and the protesters clashed in a brief but bloody battle that resulted in 13 arrests. The slapping of faces in the Russian Roulette sequences was authentic. The actors were reported as becoming understandably agitated by the constant force of the face slaps, though it ultimately added realism to the scenes. Look for the scene where actor John Savage as Steven is yelling, “Micheal, there’s rats in here, Michael.” It’s when he’s stuck, submerged in a river cage. It was always thought to be a line that the character is yelling at Robert De Niro, whose character’s name was Michael. He was, in fact, yelling at the director Michael Cimino because of Savage’s all too real fear of rats. He wanted to be pulled out of the water. However, the moment worked so well on film, director Cimino kept it. The late actor John Cazale, who played Steven, was very weak when filming began. Because of this, his scenes were scheduled first. Director Cimino knew from the start that the actor was dying from cancer, but the studio did not. When it found out, the execs wanted to immediately replace him, but when Meryl Streep, who played Linda, learned of their intentions, she threatened to walk. Cazale died shortly after the film was completed. He never saw the finished film. 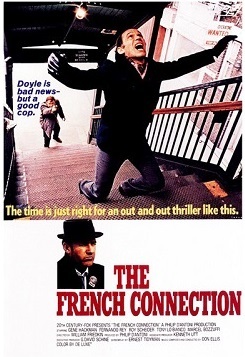 Oscars: The French Connection was nominated for 8 Academy Awards. It won 5, including Best Picture. Based on a true story, a pair of NYC cops in the Narcotics Bureau track the source of heroin from Europe into the United States. Originally, Steve McQueen was offered the chance to star as the lead, but having already played a cop in Bullitt (1968), he had no interest in any more cop roles. He turned the offer down. 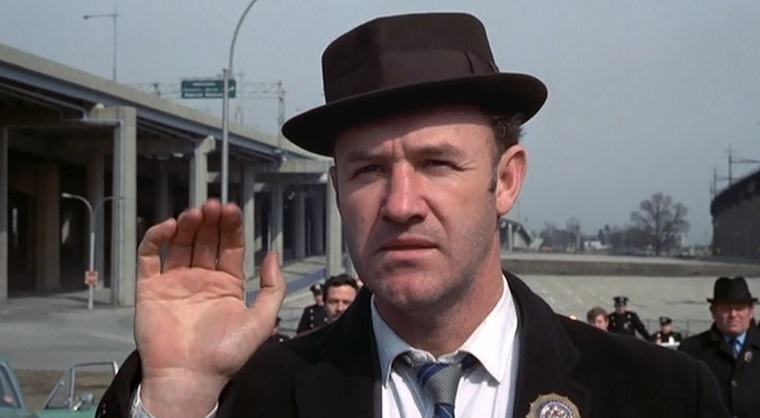 Instead, the part of Jimmy ‘Popeye’ Doyle went to Gene Hackman. Hackman received the role of Popeye after an interview with director William Friedkin. There was no audition, no reading for the part, and no screen test. Freidkin simply felt Hackman was right for the role. On the other hand, Roy Scheider, who plays the partner Buddy Russo, was convinced he had lost his chance as he angrily stormed out of his audition. His ‘attitude’ was the reason why he was eventually cast. The car crash at the intersection of NYC’s Stillwell Ave. and 86th St. during the famous chase sequence was unplanned and eventually included in the film because of its realism. The man whose car was hit had just left his house a few blocks away from the intersection to go to work. He was unaware that a car chase was being filmed. The producers later paid the bill for all the repairs to his vehicle. The famous car chase was filmed without obtaining the required permits from the city authorities. Members of the NYPD’s tactical force helped control traffic. But most of the control was achieved by the assistant director with the help of off duty NYPD officers, many of whom had been involved in the actual case. 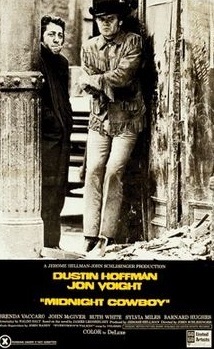 Oscars: Midnight Cowboy was nominated for 7 Oscars. It won 3, including Best Picture. A naive dishwasher from Texas arrives in New York City to become a ladies’ male-for-hire hustler, but soon faces the harsh realities of city life when he befriends a down-and-out city outcast. According to Dustin Hoffman who played Ratso Rizzo, the film’s famous line, “I’m walking here,” involving the taxi wasn’t scripted. In a 2009 interview, Hoffman said that the film didn’t have a permit to close down the NYC street for filming, so the crew set things up with a hidden camera and remote microphones. After 15 takes, the scene was finally going well, but this time, as actors Voight and Hoffman crossed the street, a taxi ran a red light. Hoffman wanted to say, “Hey, we’re shooting here,” not only for fear of his life but also from anger. But for whatever reason, the actor stayed in character and shouted, “Hey, we’re walking here,” instead. In a separate interview, actor Voight backed up the story, saying that because his co-star was handling the situation so well, he also stayed in character. One studio executive sent director John Schlesinger a memo that read: “If we could clean this up and add a few songs, it could be a great vehicle for Elvis Presley.” Evidently, Presley was interested in the role but instead went on to film A Change of Habit with Mary Tyler Moore, the singer’s last theatrical movie. 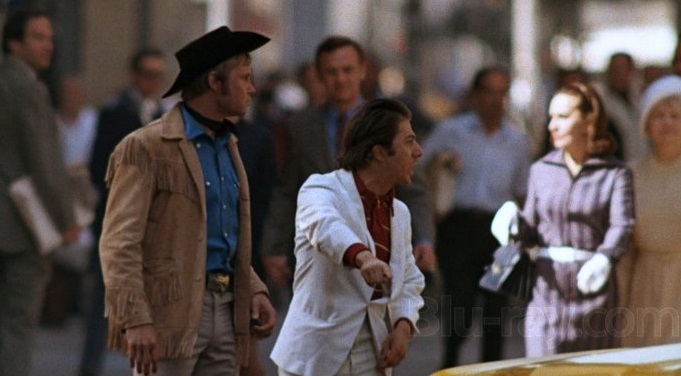 Midnight Cowboy is the only X-rated film to ever win a Best Picture Academy Award. Because of the stigma that existed around X films in America, many theaters refused to run the film while newspapers would not accept ads. Because of this, the film was given a new R-rating two years later in 1971 without having any scenes changed or removed. When the film did not receive any awards at the 1969 Berlin Film Festival, United Artists was so upset, the company refused to send any more of its movies to the festival for consideration for ten years. A black police detective from Philadelphia becomes involved in a murder investigation in a racially hostile small southern town in Mississippi. Efforts to catch the killer are constantly thwarted by the bigoted small-town sheriff who is forced to set aside his prejudices in order to solve the crime. 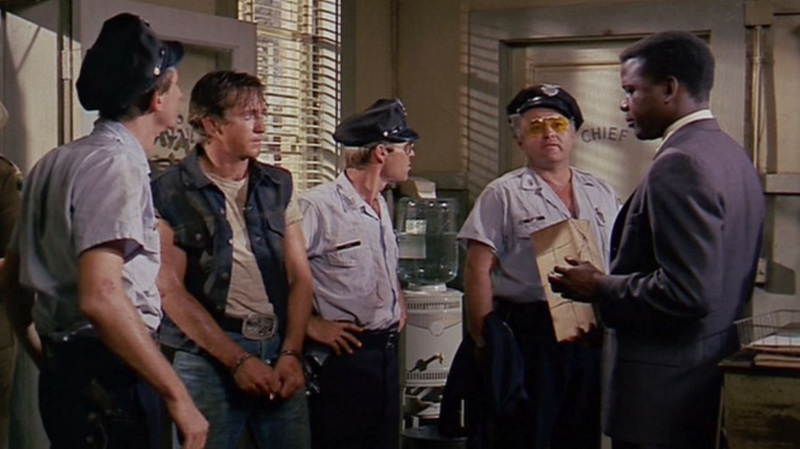 In the Heat of the Night was the first major Hollywood film in color that was lit with proper consideration for an actor with dark skin. Cinematographer Haskell Wexler recognized that standard lighting used in films produced too much glare on most black actors. He toned down the lighting when Sidney Poitier was on camera to good effect. Poitier insisted that the movie should be filmed in the North because of an incident in which he and actor Harry Belafonte were almost killed by the KKK during a visit to Mississippi. Sparta, Illinois was eventually chosen. The name of the small town in the story was changed to Sparta so that the local signs were not in need of removal. However, the film unit did venture briefly into Tennessee for the outdoor scenes at the cotton plantation. Poitier slept with a gun under his pillow during the southern location shoot. When he received threats from local thugs, the shoot was cut short and the production was moved back to Illinois. There was hesitation to release the film in the South because of potential issues with violence due to the film’s theme of racial conflict. 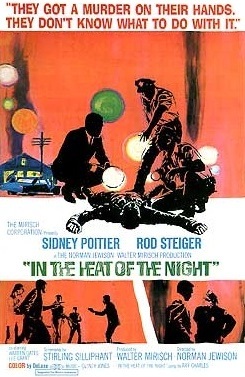 Ultimately, there were no reports of violence occurring at any venues where it did play in the South, but the Oscar-winning film was banned altogether by the South African Publications Control Board, as were many of Sidney Poitier’s films.